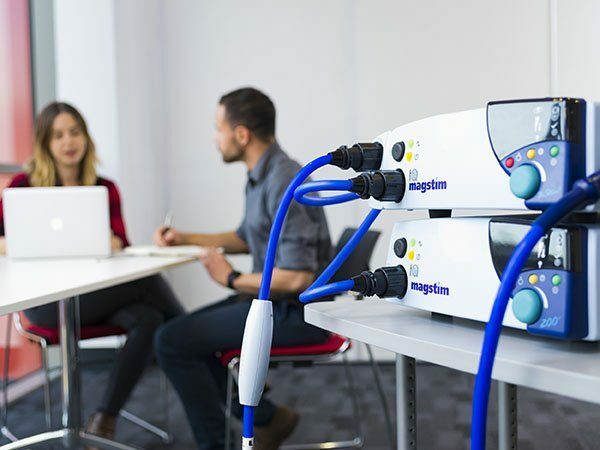 The Magstim® BiStim² combines two 200² units through a connecting module, so that paired pulses can be delivered through one coil. 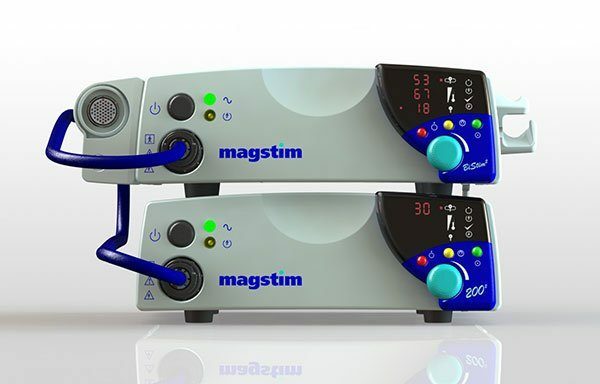 Suitable for both cortical and peripheral stimulation, The Magstim® BiStim² allows the user to deliver precise sub- and supra-threshold conditioning and test pulses with the ability to connect two individual coils for interhemispheric stimulation. Ideal for intracortical inhibition as well as facilitation and brain connectivity studies. Users in the USA: CAUTION: Investigational device. Limited by Federal (or United States) Law to investigational use. In accordance with US federal regulations an IDE and/or IRB approval may be required.